In January 2018 we held our first Doors Open Day, inviting anyone who was interested to see around our premises. It was a huge success, so much so that we held another this January, at our Inverness Funeral Home on Chapel Street. 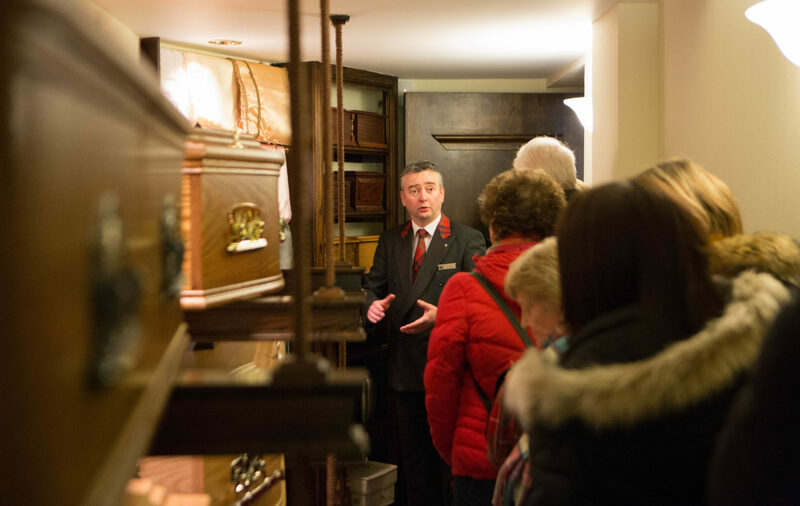 Our visitors saw behind the scenes and viewed our service room, coffin room, mortuary, embalming suite, rest rooms, memorial engraving workshop, and garages. The overwhelming reaction was that it was reassuring for people to know what to expect, and that it would ‘start the conversation’ to help them think about planning their own funerals, removing a lot of stress for their families. If you didn't make it along, give us a call at our Inverness or Dingwall Offices and we can arrange to show you round at a convenient time.